The problem I have with Seymour Hersh’s latest thinly and anonymously sourced conspiracy theory about Syria is not that I find it implausible that the U.S. government would conspire to preserve the regime of Syrian dictator Bashar al-Assad — by, in part, passing it intelligence on “jihadists” through a third party — but that we already know this is the case and need not rely on the word of a chatty “former adviser” to the Pentagon who happens to be friends with a famous journalist. The real problem for Hersh and others like him these days is that ever since the Arab Spring came to Syria in 2011 they have cast in terms of conspiracy, abandoning class analysis to suggest it was, from the start, or damn near close it, a U.S-Israeli plot to effect regime change, not the predictable and indeed predicted result of authoritarian neoliberalism, poverty and the closing off of any means for Syrians to achieve meaningful reform through politics or pacifism. This piece was published at Newsweek Middle East edition. In 2011, according to the ASDA’A Burson-Marsteller Arab Youth Survey, “living in a democracy” was the most important desire for 92% of respondents. A mere four years later, however, 39% of Arab youths believed democracy would never work in the Arab world, and perceived ISIS, not dictatorship, as their most pressing problem. Powerful states seem to share the perception, bombing ISIS as a short-term gestural response to terrorism, re-embracing ‘security states’ in the name of realism – concentrating on symptoms rather than causes. For historical analogy, Filiu evokes the Mamluks, Egypt’s pre-Ottoman ruling caste. Descended from slaves, these warriors lived in their own fortified enclaves, and considered the lands and people under their control as personal property. Filiu sees a modern parallel in the neo-colonial elites – militarised elements of the lower and rural classes – who hijacked independence in Algeria, Egypt, and Syria (and, in different ways, in Libya, Iraq, Tunisia and Yemen). This is what happens when RT makes the mistake of inviting an actual Middle East expert. Gilbert Achcar of SOAS breaks the channel’s truth embargo and explains ‪Syria‬ to an audience which is otherwise only exposed to the ramblings of miscellaneous truthers and conspiracy nuts. Unlike John Pilger who went on RT to sing a love song to Vlad Putin, Achcar reminds the audience that the channel is merely a mouthpiece for the Russian state and that the state that destroyed Chechnya can’t possibly be expected to do anything humane in Syria. 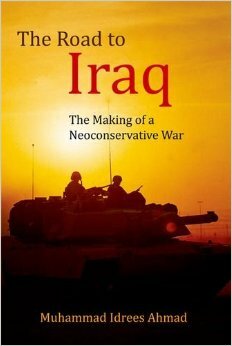 This was first published (with some great links) at the Guardian. Picture is Abu Hajar. 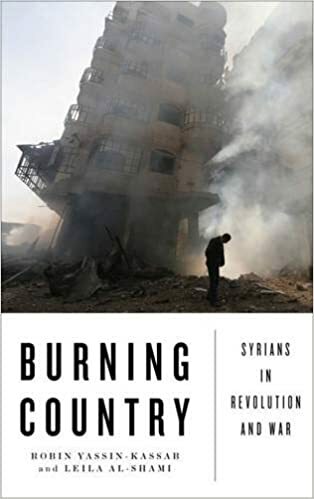 More stories about him and many others in our forthcoming book ‘Burning Country: Syrians in Revolution and War’. In the first heady weeks of the Arab Spring commentators made much of the role played by social media, and certainly Facebook in particular provided an indispensable tool to young revolutionaries throughout the region. But less noticed, and ultimately far more significant, was the carnivalesque explosion of popular culture in revolutionary public spaces. The protests in Syria against Bashaar al-Assad’s dictatorship were far from grim affairs. Despite the ever-present risk of bullets, Syrians expressed their hopes for dignity and rights through slogans, graffiti, cartoons, dances and songs. To start with, protestors tried to reach central squares, hoping to emulate the Egyptians who occupied Tahrir Square. Week after week residents of Damascus’s eastern suburbs tried to reach the capital’s Abbasiyeen Square, and were shot down in their dozens. Tens of thousands did manage to occupy the Clock Square in Homs, where they sang and prayed, but in a matter of hours security washed them out with blood. This April 2011 massacre tolled an early funeral bell for peaceful protest as a realistic strategy. In response to the unbearable repression, the revolution gradually militarised. 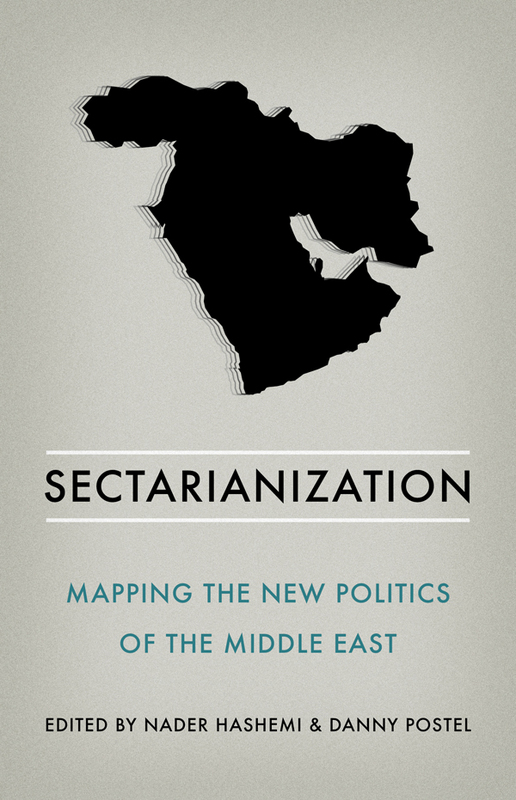 By the summer of 2012 war was spinning in downward spiral: the regime added sectarian provocation to its ‘scorched earth’ tactics of bombardment and siege; foreign states and transnational jihadists piled in; those refugees who could got out. Civil revolutionaries did their best to adapt. Alongside self-organising committees and councils, Syrians set up independent news agencies, tens of radio stations and well over 60 newspapers and magazines. Kafranbel, for instance, a rural town become famous for its witty and humane slogans, broadcasts discussion, news and women’s programmes on its own ‘Radio Fresh’ – despite a recent assault by Jabhat al-Nusra fighters. And Enab Baladi (My Country’s Grapes), is a newspaper published by women in Daraya, a besieged, shelled and gassed Damascus suburb. Remarkably, the magazine focuses on unarmed civil resistance.